Boeing has invited us to bring a group of students to tour behind-the-scenes at their Boeing 787 Dreamliner factory in Charleston, SC. Boeing is the largest commercial aircraft manufacturer in the USA, and the largest exporter in the US by dollar value. 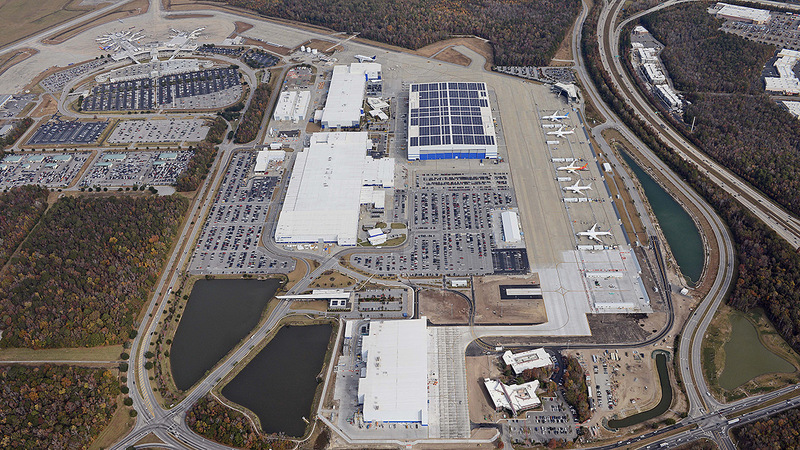 The Charleston facility is the major manufacturing, final assembly and delivery site for Boeing commercial aircraft in the eastern United States and is one of the largest employment centers in SC. CHS Airport has invited our students for a tour of the airport, apron, baggage handling areas, and its new terminal. The airport’s CFO Doug Boston will also teach our students some basics of airport finance.